This slim fitting sweater has been knitted with a fine 100% wool yarn using a wide rib stitch which is fully fashioned for a refined finish. 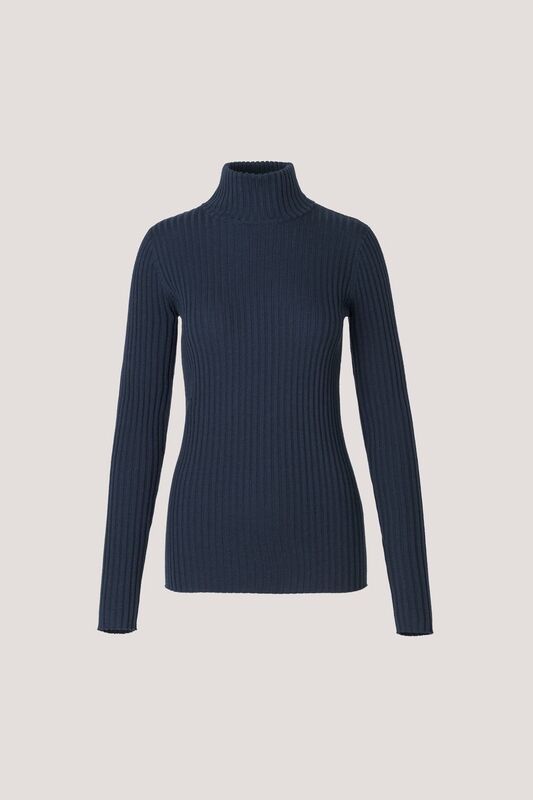 A neat fitting turtle neck completes this longer length wool, ribbed sweater. Center back length on size small is 60.5 cm.